This Sunday, my interview with James Comey, the former F.B.I. director, on President Trump's honesty. I have serious doubts about his credibility. On why the president cleared the Oval Office to talk to him about the Mike Flynn investigation. If he didn't know he was doing something he shouldn't do, why was he kicking out the leadership, including my boss? And on the F.B.I. 's reputation. And I hope they see the F.B.I. as an institution committed to values. James Comey this morning on Meet the Press. Plus, President Trump goes after the former F.B.I. director in a speech last night in Michigan. Comey's worse. Comey's a liar and a leaker! Is this the kind of help Republicans need the hold onto the House and Senate? Also, the leaders of North and South Korea say they'll work to officially end the Korean War and to denuclearize the peninsula. What do you think President Trump had to do with it? I'll tell you what. Like, how 'bout everything? How likely is such an agreement? My guest this morning, Republican Senator Roy Blunt of Missouri. Joining me for insight and analysis are NBC News Capitol Hill correspondent Kasie Hunt, Princeton University's Eddie Glaude, New York Times columnist Maureen Dowd, and Stephen Moore, editorial board member of The Washington Times. Welcome to Sunday, it's Meet the Press. Good Sunday morning. From the moment James Comey first told President-elect Trump about the Steele Dossier, to their awkward embrace two weeks later at the White House, to their dinner where Comey claims the president asked for his loyalty, Donald Trump and James Comey have had a difficult and adversarial relationship. The president fired Comey in May of last year, by his own admission, over, quote, "This Russia thing." And ever since then, "this Russia thing" has fueled their mutual contempt. Comey wrote in his book A Higher Loyalty that, "This president is unethical and untethered to truth and institutional values. His leadership is transactional, ego-driven, and about personal loyalty." Never afraid to fight back, President Trump has tweeted that Comey is a proven leaker and liar, that he should be prosecuted, that he is an untruthful slime ball, and that it was his great honor to fire him. This morning, James Comey joined me for a wide-ranging interview where we touched on many issues, including President Trump's credibility, the Steele Dossier and the Hillary Clinton e-mail investigation. And just last night at a campaign style event in Michigan, we were reminded once again that Comey is never far from the President's mind. You watch Comey and you watch the way he lies. The president lashing out at his former F.B.I. director at a political rally in Macomb County, Michigan last night. I did you a great favor when I fired this guy. I tell you, I did you a great favor. Because when you look at what was going on at the top of the F.B.I., it is a disgrace, and everybody in this room understands it. On a week marked by a diplomatic breakthrough between the leaders of North and South Korea, and by high-stakes diplomacy at home, the president spent much of his time consumed by the Mueller probe. What we really should do is get on with our lives and get on with a lot of things. But the president is having a hard time moving on. On Thursday morning, he made a 30-minute call to Fox's morning show. I watched-- Leakin', Lyin' Comey last night. And I did-- I did-- I hated to do it. On Friday morning, after that historic handshake between the leaders of North and South Korea, the president started his day not by heralding peace talks but by renewing his attacks on Comey, tweeting, "He's either very sick or very dumb." During that phoner on Fox, the president rushed to distance himself from his personal lawyer and confidant, Michael Cohen. Michael is in business. He's really a businessman, in fairly big businesses, I understand it. I don't know his business. But this doesn't have to do with me. Michael is a businessman. He's got a business. I would say probably the big thing is his business. And they're looking at something having to do with his business. I have nothing to do with his business. In addition to being the President's personal attorney, Cohen is an executive vice president at the Trump Organization. Republicans on the House Intelligence Committee released results of their own investigation into Russian influence in the 2016 election, declaring they did not find any evidence of collusion, conspiracy, or coordination between the Trump campaign and the Russians. I was very honored by the report. It was totally conclusive, strong, powerful. Many things said that nobody knew about. Very political report document that could have been written by the White House. Trump's fixation on his fired F.B.I. director has persisted since Comey's dismissal nearly a year ago. And what about Comey? You watch him on the interviews? Uh-oh. What about Comey? The president suggested he may intervene again. If our Justice Department was doing the right thing, they'd be a lot tougher right now on those people. Because there's tremendous crime and corruption on the other side. And joining me now is the former director of the F.B.I., James Comey. His new book is A Higher Loyalty: Truth, Lies and Leadership. Director Comey, welcome to Meet the Press. Let me start with some news over the last couple of days. The House Republicans put out the House Intelligence Committee report. I'm just curious if you believe it proves what the president says it proves. He claims that this report proves there's no evidence that the Trump campaign colluded, coordinated or conspired with Russia, and that it was all a big hoax by the Democrats based on payments and lies. Is that your interpretation? That is not my understanding of what the facts were before I left the F.B.I., and I think the most important piece of work is the one the Special Counsel's doing now. This strikes me as a political document. And did the House Intelligence Committee at all serve a good investigative purpose during all this, in your observations? Just totally got too politicized? Yeah, and it wrecked the committee, and it damaged relationships with the FISA Court, the intelligence communities. It's just a wreck. When the president says, "I have nothing to do with this Russia thing," I know it's something you've heard him say in private. What do you think he means when he says that? I do not know. I think it's an effort to try to undermine the credibility of the investigation that the Special Counsel's conducting. But beyond that, I don't know. Did you -- When you first met with him that first time in Trump Tower, when did your antenna go up? Did you treat him suspiciously? Were you going into that meeting concerned, based on other stuff you knew? Yeah, I was concerned about the nature of his commitment to truth-telling, based on some of the things I'd seen during the campaign. But I went in trying to see what he was like as a leader, and didn't see things that disturbed me until the lack of questions about, "What do we do next to protect the country?" When you told him the contents of the Steele Dossier, did you get the impression it was the first time he'd ever heard those allegations? Yes. And I didn't give him the briefing on the whole Steele Dossier. My assignment was to brief him on a small part of it that was salacious and personal. And my sense was-- I didn't get a sense that he knew about those. I want to re-ask a question that Reince Priebus asked you, and you said in your memo, why include that salacious part? If it was something that you thought was, you know, not that necessary to the investigation? Or did you think it was important that he knew? We thought it was important that he knew. And I say, "We," meaning all the intelligence chiefs that put together the intelligence community assessment. We thought it was important that he know, because we knew, and we don't want to be holding that back from the new president. And also, the F.B.I. 's role is counterintelligence. And so we do a defensive briefing, whether or not something's true, just to let the person who might be the target of a leverage effort, of an effort by an adversary to gain advantage over him know that we have this information. You called him in the book, "unethical and untethered to the truth." Based on that, does that mean you think it would not be wise for him to sit down with Bob Mueller? That's a great question. That's one only he can answer and his lawyers can answer. It would be important for a lawyer and client, especially this client, to have a real hard conversation about that. I hope that he will allow Director Mueller to complete his work. Whether that includes an interview or not is up to him. You've been a prosecutor most of your professional life. Is he a witness that you would find credible? Whether he were under oath or not? Correct. And sometimes people who have serious credibility problems can tell the truth when they realize that the consequences of not telling the truth in an interview or in the grand jury would be dire. But you'd have to go in with a healthy sense that he might lie to you. If Mueller is following Justice Department guidelines that sitting presidents cannot be criminally charged, then doesn't that mean that, so long as Mr. Trump is in the White House, he will never be considered a target of this investigation, only a subject? There's logic to that. I don't know whether that's the logic of what I've read in the newspaper about him being told he's a subject. But that would logically follow. If you can't be indicted, given that a target is someone on whom there's substantial evidence, enough evidence to charge, then you could never be, if a president can't be indicted. So in this case -- and that is Justice Department guidelines -- that the Justice Department operates under the guidelines that a sitting President can never be indicted. My understanding is that’s the current office of legal counsel opinion in the department. Was Hillary Clinton ever a target or a subject during the investigation? Sure. She was a subject of the investigation. Because we didn’t develop substantial evidence to support a criminal prosecution against her. So at no time she was ever considered a target? Let me ask you since you left on May 9th. What percentage, would you say, of what you know about the Russia investigation, what you know about the facts, what you believe the facts are about Russian interference. What percentage would you say is in the public domain right now? That’s one I can’t answer. I wouldn’t answer anyway, but I don’t have the math in my head even if I were inclined to answer it. Alright, let me ask you it this way. When the public does learn everything you know, is it going to be something that will be a no-brainer to the public? That’s an excellent second way to ask it. I’m not gonna answer that one. Why wouldn’t you answer that? Do you believe what you know is something that the public will reasonably be able to understand and it won’t be foggy? The reason I’m giving you these answers is because I’m duty bound not to talk about what I learned during the investigation before I left, and I don’t know what’s happened since. It’s possible things that I knew have changed since then. So it's just I can't do it without crossing the lines I'm obligated to to abide. Have you learned new things since you left from them media? Learn all kinds of new things from the media. I think so. Although I love the media, but I always take it with a grain of salt, because I knowthere are no leaks coming out of the Special Counsel's Office. So, by necessity, nobody whoreally knows what's going on is talking. I want to ask you about Mike Flynn. General Flynn plead guilty to making a false statement tothe F.B.I. regarding these December conversations with then-Ambassador Kislyak of Russia. InThe Washington Examiner, they report that, according to sources familiar with meetings thatyou had, that you told lawmakers when you were still director of the F.B.I. that, "F.B.I. agentswho interviewed Flynn did not believe that Flynn had lied to them or that any inaccuracies in hisanswers were intentional." If that's the case, what did he plead guilty to? Yeah. An example of how you can't believe everything you read in the media. Not true. And I don't know what people heard me say, if they're reporting it accurately, whatthey heard me say, they misunderstood. But that's not accurate. On the Mike Flynn plea deal, as a prosecutor, um some people have described it as anincredibly – an incredible sweetheart deal. Would you describe it that way? No. I wouldn't describe either way, ‘cause I can't see what's on the other side of the wall. Thatis, what is the evidence and what's the nature of his cooperation. Excuse me, January 27th, thank you for correcting me on that. The day before, then-DeputyAttorney General Sally Yates had briefed the White House that Mike Flynn had lied to the F.B.I..When you got that call to have dinner with the President, did you know going -- did you think,going in, he was going to ask you about Flynn? No. I worried that it might come up. And if you've seen my memo, I made clear to note it didnot come up at all. Now, it does come up in February. Uh and he says, "Can you lay off Mike Flynn?" Why didn'tyou tell him that was inappropriate? That's a great question. I've asked myself that a bunch of times. I think because I was sofocused-- first, shocked, and so focused on trying to remember his exact words, and standingthere alone in the Oval Office, that it didn't occur to me at the time. At at no -- the reason I ask that, you corrected Reince Priebus on the proper channels to use toact about FISA warrants. You never once corrected the president about different ways heshould be handling things. Is that just…Why was that? Probably a couple things. I think it's harder to correct the president. And second, you've got toremember the atmosphere. He had just kicked out my boss, who had tried to linger, theattorney general, and still been booted out of the Oval Office. And so you have to realize that, ifhe – if he didn't know he was doing something he shouldn't do, why was he kicking out theleadership, including my boss? If you plead guilty to lying to the F.B.I., as a cooperating witness,are you ever a good witness on the stand? Does that mean you would ever use them as awitness on the stand? How do –how are they credible if you plead guilty in the if you’re a – ifyou basically plead guilty to lying? No you can. I mean plenty of witnesses do it and are credible to a jury or a judge. They'veacknowledged their wrongdoing. And plenty of people who tell the truth also lie at times. Sohe's accepted responsibility. And it depends on what other evidence you have to corroboratethe account of that witness. I guess I'm asking, is it more likely he had to have some material that the special prosecutor wanted to get the deal that he got? Yeah, too hard to answer from the outside, Chuck. It's just all speculation. I mean that is both the challenge and also the great thing about a special prosecutor conducting an investigation with no leaks. You do not know what he has or where he is. All right. I want to ask you about something that President Trump said last night about Vladimir Putin and this lawyer that was at this infamous Trump Tower meeting. Here it is. Putin and the group said, "You know, this Trump is killing us. Why did you say that you're involved with government so that we can go and make their life in the United States even more chaotic?" So the president, last night, perhaps he's speculating that Vladimir Putin is now telling his follows, "Hey yes, say you did cooperate," and the lawyer he's referring to is Natalia Veselnitskaya, who was the woman at the center of the infamous Trump Tower meeting in July of 2016. What does that tell you? So Putin's instructions are to falsely implicate yourself in conspiring with Americans? I don't know exactly what to make of that. (CHUCKLE) But that's one interpretation of what he said. Does that give you hope that he actually now sees that Vladimir Putin is trying to play games with the United States? It doesn't give me any hope that he's seeing or thinking clearly. Corey Lewandowski, a former campaign manager to Donald Trump, criticized the F.B.I., saying when they hired Paul Manafort, somebody who the F.B.I., we now know, interviewed in 2014, that he thinks the F.B.I. should have been obligated to tell the Trump campaign Paul Manafort was potentially compromised and somebody they shouldn't associate with. Is that the F.B.I. 's responsibility? And should it be? I'm not going to comment on Manafort in particular. But in general, that's not the F.B.I. 's job. The F.B.I. does background work on government appointments and government hires, but not to private entities. I want to ask about the Clinton e-mail investigation. Starting in October, you say in your book that Deputy Director Andrew McCabe told you something about Anthony Weiner and his laptop and something involved the Clinton-- in early October. And then there's sort of a gap. You sort of don't explain why nothing-- and then you sort of fast forward to October 27th. What happened in the intervening time there? Why didn't your antenna go off sooner, going, "Whoa, Anthony Weiner? What? We better get on top of this." Yeah, I remember somebody, and I think it was the Deputy Director, Andrew McCabe, sayingsomething to me early in October, I think. And I did an index on it, because how on Earth couldthere be a connection between Anthony Weiner and Hillary Clinton's e-mails? And so I don'tremember even noting it in my head as a follow-up. And the next thing I remember is the teamcoming back to me -- actually Andy e-mailed me at 5:30 in the morning on October 27th,saying, "The team needs to meet with you." And met with them that morning and got the fullbriefing. I don't know exactly what happened in between. I assumed, and it wasn't conscious,but I think I must have assumed the team was following up to figure if there was a connectionbetween Weiner and Clinton. And I want to finally ask you a final question about Loretta Lynch. You talk – you write aboutyour concerns about unverified information that you thought could embarrass the ObamaJustice Department, Loretta Lynch. And it had to do with some speculation that's now been outthere that supposedly, and we now think it was a false set of e-mails, that seemed to indicateshe had promised the Clinton-- "Don't worry, nothing's going to happen here." Um, I'm curious.You were worried about it. Why didn't you ever bring it to up to her or the deputy attorneygeneral? I don't think I can talk about what contact with made with the leadership of Justice about that.And so I have to stop there. And by the way, I don't agree with your predicate. I can't describeit because it's classified. I'm just not, by my silence, agreeing with your predicate that it wasfalse documents. I would -- I guess, but in your book, you sort of leave it out there as a hanging meatball, thatyou imply that she's compromised. Was Attorney General Loretta Lynch compromised? No, I don't believe that. And that's what's so hard about describing it. It's implied in the book. You realize it comes across that way in the book. describe it as best I could. Okay. So let me ask you this. Between that, and then the Clinton tarmac meeting, which yousaid, at first you thought it was absurd that it was an issue, but you saw it had gotten tractionon cable. Why didn't you tell her – why didn’t you recommend to her or to Sally Yates, sheshould recuse herself? That's the cleanest way out of this. Yeah, that's a great question. And maybe I should have. But before we had a chance to have aconversation about it, she announced publicly that she would not recuse herself, but wouldinstead accept my recommendation and that of the career prosecutors. And so, at that point,then I have to make a decision, do I stand with her? I like her very much. But do I stand withher to announce this, or do I announce it separately? Uh, I'm going to close with this. Susan Collins, last week on the show, I asked her about yourbook. Here's what she said. I'm curious to get your reaction to what she said. I cannot imagine why an F.B.I. director would seek to essentially cash in on a book when theinvestigation is very much alive. He should have waited to do his memoir. I hope she'll read it and and see that it's not about the investigation, it's about some -- not evenabout Donald Trump, it's about something much broader that I thought it was important to talkabout now. Um I was just going to say, is your -- what's the goal for the reader? What do you hope thereader takes away about Donald Trump? And what do you hope the reader takes away aboutthe F.B.I.? I hope the reader takes away that Donald Trump and Barack Obama and George W. Bush andothers, illustrates something about the importance of values in the life of this country, andabout what leadership can and should be. And I hope they see the F.B.I. as an institutioncommitted to values and caring deeply about being separate from the political tribes in thiscountry. Director Comey, uh I would love to go further, but there's so many questions you say you can'tanswer, (CHUCKLE) due to this investigation. So I guess it means-- can I ask you this? Does Dir-- do you believe that Director Mueller is mindful of the political calendar as he goes through?And that the closer things get to an election, the more investigations can play an outsize role,fair or unfair? I'm sure he knows all of that. He's definitely attentive to the calendar. And like all goodprosecutors, wants to finish as quickly as he can. Okay. Director Comey, good luck on your book tour. I would say good luck with book sales, butI think, uh based on book sales, you don't need any more luck. You got it. When we come back, I'll talk the panel about James Comey, President Trump andthe Mueller investigation. Well, we are back. Panel is here. Lots to chew over. Eddie Glaude, chair of the Center for African-American Studies at Princeton University, NBC News Capitol Hill correspondent Kasie Hunt, The New York Times columnist Maureen Dowd and Stephen Moore, editorial board member at The Washington Times, and a former senior economic advisor to the Trump campaign. Welcome all. Good to see the two of you, we haven’t seen you guys in a while. Maureen, I'm going to start with you. Comey and Trump, what do you make? Is this Javert-like? Is this Les Mis like, in your mind? Well, with Macron this week, we saw Trump's primate male dominance moves, which he also tried on Comey. You asked Comey about why he didn't speak back to Trump. And Comey is a very fascinating figure for Washington, because usually you get in trouble from an absence of rectitude, and he's in trouble from too much rectitude. --not making Hillary president. Hillary says he shipped her. Stephen, what did you hear? Look, the last thing he said to you was that, I want to make sure I get this exactly right, that, "the F.B.I. is committed to values and honor." I think this man has so politicized the F.B.I. and really besmirched the reputation of the F.B.I. with this salacious book that was so personal, I agree that it should have come out after the investigation. And look, I think from people on the right, like me, I don't think he has any credibility any more. And I agree with you, this is all about selling books. And, you know, he is-- I've said this before, but, you know, hell hath no fury like an F.B.I. director scorned. And this is personal. You know, he comes across as just a personal animosity to Trump. And I don't think the book is going to have a lot of lasting influence. Well, I think you can hold two claims at once, that is to say that he's trying to sell books, and that he is absolutely right about the claim that he doubts the credibility of Trump, that Trump has proven over and over again a propensity to have an uneasy relationship with the truth. He lies. I thought it was interesting. He admitted that he went in to his first-ever meeting with him questioning whether that he was ever going to be truthful. I really can't tell anymore, honestly, which camp hates James Comey more. --Trump supporters? And I mean it does-- this book feels like one of the many political biographies that, you know, politicians put out about themselves. Well see, this is exactly my point, though. Even, you know, going back to the e-mail investigation. I mean his treatment of that, in my opinion, was to-- and I say this as a Republican. And it did help Trump win the election, but the way he treated the whole e-mail investigation was political in my opinion. Bob Mueller still has some positive views as far as the public is concerned. And I thought this poll here, if I were the president, I'd be concerned here. Views of the Mueller investigation from Fox News here. "Will Mueller find President Trump committed crimes or impeachable offenses?" A majority, 56%. But what was interesting here is more than one in five Republican voters now believe. And you could say maybe they're the never Trump Republicans that believe this, Maureen. But that shows you that Mueller has-- he has kept his credibility. Comey may be challenged. Mueller still is not. Well, I think, again, this is one of the most fascinating kind of personally collisions that Washington has ever seen. You've got this former Marine, Boy Scout, you know, completely straight arrow. And then you've got Trump. You know? Who is the opposite of that. I want to get into the investigation a little bit. We know the president got fixated about Michael Cohen and he wanted to make it clear, Michael Cohen's businesses. And then this pops up over the weekend in grocery stores. The front page of The National Enquirer. We know the president has a personal relationship with the owner of The National Enquirer. And there it is: "Trump's Fixers, Secrets and Lies." Kasie Hunt, I mean this looks like the beginning of the President's attempt to separate from Michael Cohen. We've been watching this almost play out in public, the president trying to decide if he's going to try and essentially dismantle Michael Cohen or if he's going to try to cozy up to him in the-- attempt to make sure that he doesn't essentially side with Bob Mueller and give up everything. And it seems as though we are moving in the opposite direction, that the assumption is now that Michael Cohen is likely to flip. He wants to avoid prison, so they have to mount a campaign to undermine his credibility. Steve Moore, how concerned should Trump supporters be about Michael Cohen? Look, I thought the raid on Cohen's office was a bridge too far for this investigation. Do we know that, though? I mean we don't know the evidence yet. I think most fair-minded people think it was pretty outrageous to-- you know, it was an invasion of civil liberties. But I want to go back to this point you made, which is really, I think, an important one, about, you know, how many Republicans believe that Trump is in trouble. I think the reason that this report that came out by the Republicans in Congress about the investigation saying there was no collusion is a really important point here. Because it basically is saying, "This is now a partisan-- " you know, the only way that they're going to get Trump is, you know, what happened after Watergate, when Republicans turned on Nixon. That's not happening. Now, I think it's become a kind of-- it's being portrayed as a partisan witch hunt against Trump. And I actually happen to believe that's true. Well, House Republicans made it more partisan, therefore it makes it partisan? I'm sort of confused by that logic. And that's what's interesting about the one in five, right? Even though one in five may believe that he has committed impeachable offenses, do they care? Do they care if he-- will they hold him accountable for it? I don't think they will. Well, and I think that's part of why-- you know, the nature, the way this conversation is going is so potentially dangerous. Because, you know, you say this invasion of Cohen's office was an invasion of his civil liberties. We don't have all the facts to know that. --are undermining our, you know, institutions that apply the rule of law. I mean is it possible that Republicans will ever change their minds? Because they have a completely different set of facts. I'm going to have to pause the conversation there. And we'll pick it up in a few minutes. That, I promise. Coming up, though, could North and South Korea and the U.S. really agree to rid the peninsula of nuclear weapons and officially end the Korean War? A lot depends on President Trump. Senator Roy Blunt of Missouri, who sits on the Intelligence Committee, joins me next. Welcome back. We saw an historic moment this week on the Korean Peninsula. But for all of the images of the leaders of North and South Korea smiling and shaking hands, many experts do remain skeptical about how close we really are to an official end to the Korean War and, more importantly, a denuclearized North Korea. Much will depend on President Trump and his planned meeting with Kim Jong-un. Last night at his rally, Mr. Trump left no doubt who was responsible for the progress, in his view, so far. Joining me now is a member of the Intelligence Committee, Republican Senator Roy Blunt of Missouri. Senator Blunt, welcome back to Meet the Press. Well, let me start with there uh very quickly. Is the president responsible for everything we've seen here so far between um the two Koreas? You know, actually I think the President's responsible for a lot of it. He's a different personality, clearly, than the presidents who have tried to deal with North Korea before. You've really got four people here that are principle, that are, in many ways, different: the president, President Moon, Kim himself, the unbelievably, almost, empowered leader of China. --what they were doing and how they were doing it. And that's what I'm curious about here. Why do you believe Kim Jong-un is so comfortable coming to the table right now, right? I mean that, to me, we have to answer that question. We have to know the answer to that question before the president sits down with him, don't we? You didn't believe he was a rational actor. I mean how do you trust dealing with this guy? All of a sudden, the President's like, "I can handle this." Are you comfortable that Kim Jong-un is a rational actor? You know, I think what I have tried to say in the past, he is he’s impetuous. He's not very old. He hasn't been exposed to much of the world. Uh and that's a very scary combination to somebody who is testing nuclear weapons. Do you -- where would you put yourself here? There are some skeptics here. Look, Kim Jong-un's grandmother got Bill Clinton and, some would say, snookered him. Kim Jong-un's father, some would say, snookered George W. Bush. How concerned are you that this is just another game that Kim Jong-un, it's-- I think Brett Stevens wrote, "He's got a peace wall -- bridge to sell you," type of thing. Do you think there’s -- how much skeptical of-- ? Well, I think we need to be very skeptical. And in 2012, the Obama administration also, we had-- (CHUCKLE) we've got a series here of our leaders trying to deal with these tyrants and not having very good success in doing that. They will not be uh truthful just because they want to be truthful. I think there has to be some determination that the verification is absolute, uh that the North Koreans walk away with something out of this. And frankly, everybody, including the Chinese, has to keep the economic pressure on. Is there a commitment that Kim Jong-un is going to ask for that you fear the president, you would tell the president, "Don't give on this, please don't give on this?" What would that "this" be, in your mind? --continues to be-- continues to be essential. And we have to be thoughtful about that. And also, interesting, I was interested that Kim, for the first time, publicly was willing to admit that his country is not everything it should be. Talking to the South Koreans about their infrastructure. But he didn't televise any of these meetings to his own people. Does that concern you that this is um a media event for us and and he's not uh selling his people on it? I don't know that it was televised. But it was actively covered immediately in the newspapers in North Korea. Which would have been different than the past. So he is out there saying, "We are behind you in many-- are economically behind you. Our infrastructure’s behind you." Everybody knows they can barely feed their country. Uh and, you know, they don't bring-- they don't have money, they don't have currency the rest of the world accepts. And so it's a critical time for him. But I think we have to be very skeptical. This is very much, whatever they say, I'm not sure you can trust it, but you certainly have to verify it. And we still have to figure out how to verify. Let me ask you about another nuclear issue. And that is the Iran deal. Uh the Defense Secretary uh testified on Capitol Hill this week and gave um a very interesting answer about his views on the Iran deal. Here it is. I'm curious what you think. I've read it now three times, all 156 pages or whatever it is. And I will say that it is written almost with an assumption that Iran would try to cheat, so the verification, what is in there, uh, is actually pretty robust. Now Secretary Mattis is being careful that, perhaps, not to say uh uh uh -- telling the president to stay in or out. But he's making the case for staying in. Um do you take do you-- does that interpretation give you more confidence in the Iran deal? So that gave you some confidence. Well, it's actually the three things the president has been saying need to change in the deal, as well. And also remember, Iran is a bad actor in lots of areas. And the Iran deal doesn't cover all their bad activities. Uh we can do sanctions on Iran, even if you stay in the Iran deal, that don’t rela -- doesn't relate to nuclear. Iran is very dangerous. And they are on a certain path to have nuclear ca -- weapons capability in ten years unless the government would, in a very unlikely way, change its view of itself and the world. You know, sometimes it's weird how we're treating Kim Jong-un versus how we treat the Iranians. Kim Jong-un essentially murdered an American citizen in Otto Warmbier. It's very possible, the way he was treated over there, he was essentially murdered. Plus probably his own brother and his uncle. And he has murdered other people. He has starved his own people. The Iranians don't starve their own people. It it it --you know, and yet, we're sort of now feeling comfortable cozying up with Kim Jong-un and demonizing the Iranians. It just feels like we're sending some odd messages around the world. Well, I don't know, Chuck. I think you want to be sure you learn the lesson of North Korea, which is don't let countries that have bad inclinations all over the world wind up with nuclear weapons. We we we are with -- we are with Iran right now where we would have been with North Korea 15 years ago, and it's foolish to let Iran become another North Korea. And we're not dealing with Kim Jong-un because we think he's a good guy. Um couple of quick political questions. The Mueller protection bill went through the judiciary committee that hits the Senate floor. Are you inclined to support it? Right now, under no circumstances? And now also, and I've given lots of public advice on this to the White House that they would be foolish not to let Mueller complete this investigation. But I think there is a serious question here about how much the legislative branch can manage the executive branch. And uh if if we want to have our own investigator, we could create a law that does that. But we've chosen not to do that. And I've got to ask you about your home state governor, Eric Greitens. Most Republicans in the state seem to want him to resign. Is his presence going to negatively impact Republicans on the ballot in 2018 in Missouri? I think we have to let the situation play out. You know, obviously, what the governor's accused of is very concerning. But there's both a legal process and a legislative process designed to deal with that. Uh and I have confidence that both of those will reach the proper conclusion. You don't think he should resign yet? Um...I don't think it's my job to decide whether he should resign yet or not. Is it in the best interest of the state of Missouri for him staying in there right now? Voters voted for him. There are two ways to deal with these issues. One is the legal process going on. The other is the legislative process. Uh there's no reason not to have confidence in both of those. You see to be very hesitant to call for-- you're about the only Republican hesitant to call for his resignation. --a bunch of politicians saying what ought to happen. Senator Roy Blunt, Republican from Missouri, as always, sir, thanks for coming, sharing your views. Appreciate it. When we come back, the spread between Americans want the country to be and what we believe we actually are. Welcome back. Data Download time. There's a big disconnect in America between who we want to be as a country and who we think we actually are. A new report from the Pew Research Center takes a look at both our ideals and how the political system functions today. On our ideals, 84% of those surveyed said it's important that the rights and freedoms of all Americans are respected. And yet, only 47% right now think that actually describes the country well right now. 61% say it's important for the tone of political debate to be respectful. Yet only a quarter of Americans, 25%, think we actually live up to that now. On the political system itself, 83% believe it's important for elected officials to pay serious consequences for misconduct. Only 30% believe that actually happens. 78% think it's important for Democrats and Republicans to work together, while only 19% think they do. That's a 59-point gap between our ideal and reality. And see, that's the big picture here. Because there are some differences between how Democrats and Republicans view these issues. Fact, only 37% of Democrats think everyone has an equal opportunity to succeed in America. For Republicans, though, that number jumps to 74%. Only 38% of Democrats believe the rights and freedoms of all people are respected, while 60% of Republicans say they are. And the things that members of both parties do agree on, it doesn't exactly bode well for the country. Less than a third of Democrats and Republicans think politicians face consequences for misconduct. And very few members of either party think Democrats and Republicans are working together. A study like this requires a serious look in the mirror, not just by our politicians, but by all of us. Yet, this isn't all doom and gloom. In fact, it's heartening that there's general agreement among Americans about what we believe the country should aspire to be. But by our own standards, we're falling short. When we come back, Endgame: what did the House of Representatives Chaplain do to get himself fired? Back now with Endgame, the two Koreas. Stephen Moore, I want to put up something here I want the whole table to hear, which is there's skepticism left and right. I thought this was a good example. Bret Stephens, some would call him a neo-conservative. He said, "Kim Jong-un has a peace bridge he'd like to sell you." And he goes on to talk about all the other failed times that were there. Then you have a Richard Cohen in The Washington Post, writing, "Trump will exit the North Korea summit a failure because he says North Korea without a nuclear arsenal is like Saudi Arabia without oil." Point is why do we think Kim Jong-un's ever going to give up nukes? 09:53:43;01 That's a good question. Look, thank you for reminding us in your interview with the Senator that this is a tyrant. This is a man who has murdered his own people. There is no freedom in North Korea. You know, and his father, as you said, you know, starved to death tens of thousands of his own people. So this is not (CHUCKLE) a good person. We shouldn't normalize him in any way. I do worry a little bit that Moon is kind of-- I don't want him to be Neville Chamberlain here. Moon meaning the president of South Korea. Or Trump, or Trump, for that matter. Or any American politicians. This is a bad guy. Now, the only (CHUCKLE) reason North Korea matters, I mean this is one of the poorest countries in the world. The only reason they matter is because they do have a nuclear weapon. And I will say this: if Trump, with the leaders of South Korea, can disarm North Korea, that will be a huge bonus for Trump. I think it's a huge advance for freedom and security. As President Trump himself will tell you. (LAUGHTER) I mean it was something else last night, "Me!" you know. Well, the crowd was also screaming, "Nobel." Chanting, "Nobel." (CHUCKLE) Yosemite Sam getting a Nobel Prize. You've seen this before, though, presidents, I think they get-- look, this is not new, except he's probably just more outspoken. He wants this big moment. They all want their grand moment, you know, whether it was Jimmy Carter with Begin and Sadat, Bill Clinton with the handshake with their-- I mean they want these great-man moments, don't they? And apparently Kim Jong-un's a better golfer. You know, the thing here-- we have every reason to be skeptical, Chuck. But I'm glad people aren't talking about how big their buttons are anymore. The dialogue has been elevated. Yeah, it's been elevated. (LAUGHTER) And then the second thing is this. I remember in October of 1990 when East Germany and West Germany unified. And no one thought that was possible. No one imaged it ever to be possible. And we had marked, supposedly, the end of the Cold War. So here we are. I don't know who President Kim is and his particulars outside of the general kinds of descriptions we have of him as a bad actor, as a tyrant. But what we do know is that, on that island, I mean on that peninsula, there are people with interest, just as China has interest, just as Japan has interest. And so what will happen we don't know. But I do know, in 1990, something happened that we never thought could happen. I'm with you there. And I just think having that moment, just that handshake where you're like, "Well, it's something I didn't think I'd see in my lifetime." I mean my big question, just quickly, is China. And is it in their interest? And how much are we, in our, and how much is President Trump essentially pushing or allowing the global order to shift towards China? --that's denuclearized. Because they fear, I think, a united Korea power. --North Korea denuclearized. They are the ones who have enabled-- you know, this is the Trump doctrine. China enabled North Korea to have the weapon in the first place. All right, I want to move to the House Chaplain. Kasie Hunt, this is your beat. --inside the Catholic Church. It just seems like, as my executive producer put it the other day in a meeting, "And two years before the breakout of the second American civil war, they even disagreed on who the chaplain of the House of Representatives to be." It just seems symbolic of our ridiculously polarized era. I think that that is a good way of looking at it. And frankly, how this spilled out into the public is also a product of our incredibly polarized House of Representatives, Democrats getting very angry about this. Historically, there have been more Catholic Democrats than Catholic Republicans. That's not true anymore. And I do think that, you know, the Speaker has put himself in a situation where whoever the next chaplain is going to be is likely going to have to be a Catholic. And they'll have to have it a Catholic. What do you make of all this? You epitomize the debates inside the Catholic Church sometimes in your column. Well-- (LAUGHTER) I think that Paul Ryan decided that he didn't really need a chaplain anymore because the House Republicans have already sold their souls to President Trump. Is that your mic drop? I will say, being Catholic is a very important part of Speaker Ryan's identity, which is part of why this surprised me. The whole thing is surprising because of that. I grew up in the Josephite tradition. All right. (LAUGHTER) I got to go. We're running out of time. See? A theological debate broke out. Thanks for watching. 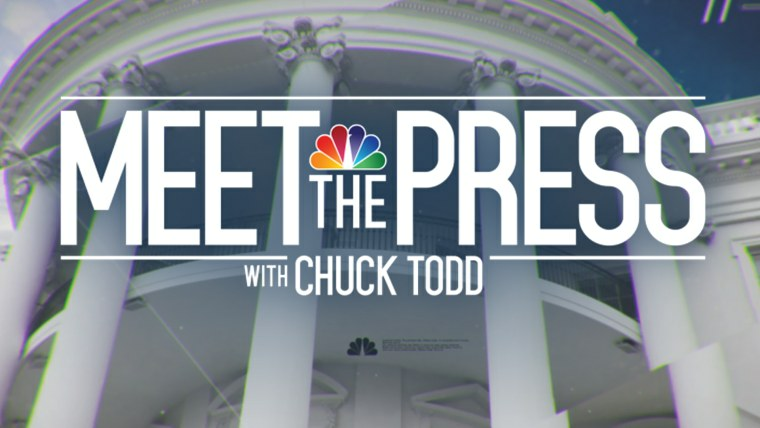 We'll be back next week, because if it's Sunday it's Meet the Press.